An invigorating facial that brings life and rejuvenation to dull skin. This service is tailored to each person’s skin type and will leave you with skin that is healthy, glowing, and soft. Our Facial includes deep cleansing, exfoliation, extraction of impurities, treatment serum, massage, and treatment mask. Monthly treatment is recommended for maintaining a healthy skin. 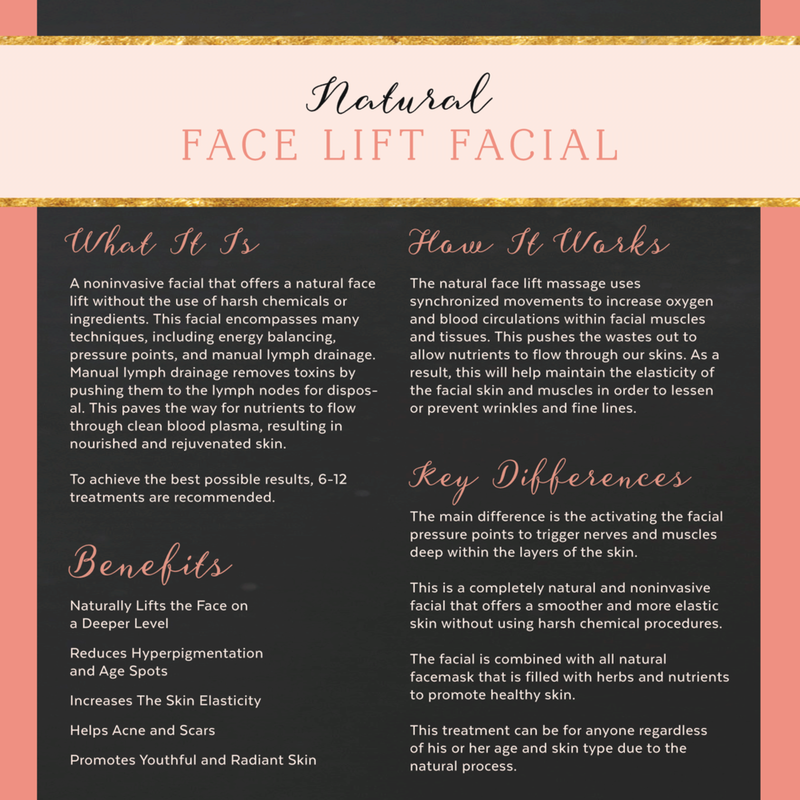 This treatment is designed to support skin regeneration to help reduce the appearance of fine lines and wrinkles, improve skin texture and glowing appearance. This treatment can also support the healing of acne scars and improve the appearance of stretch marks and surgical scars. How it works: Ultra fine, medical grade stainless needles are passed vertically across the skin creating multiple surface skin channels that lead into your skin, extending below the epidermis layer, which activates the body’s repair mechanism by restoring the skin from inside out. A treatment designed to promote collagen production to improve the tone and texture of your skin. This treatment is similar to skin needling, but silicone needles are used instead of medical grade stainless steel needles. How it works: This painless procedure uses tiny silicone needles to create channels that lead into your skin, which activates the body’s repair mechanism by restoring the skin from inside out. Active ingredients and serums are introduced into the micro-perforations for added benefits. This treatment is designed to remove the rough, flaking outer layer of your skin to eliminate dead skin cells and smooth and polish your skin. Microdermabrasion may be paired with other treatments, such as a facial. How it works: This treatment uses a crystal micro-head to fully abrade, suction, and exfoliate the skin to completely remove dead skin cells. It also unclogs your pores and decongests the skin to showcase a smooth and clearer complexion. PLEASE NOTE: ALL FACIAL SERVICES WILL CURRENTLY BE DONE AT OUR WAKEFIELD LOCATION ONLY AT THE MOMENT.